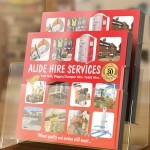 The latest version of the Alide catalogue, which we’ve designed every year since 2006, is now a square 210x210mm format, gloss laminated and perfect bound using extra strong glue so that they hold together under the toughest of working conditions. 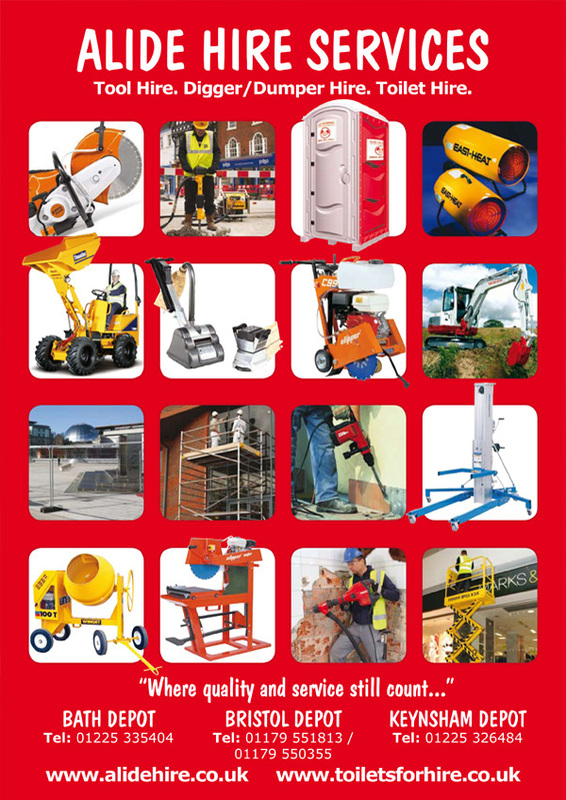 A lide are an independent tool and plant hire firm based in the South west with 3 regional depots in Bath, Bristol & Keynsham. 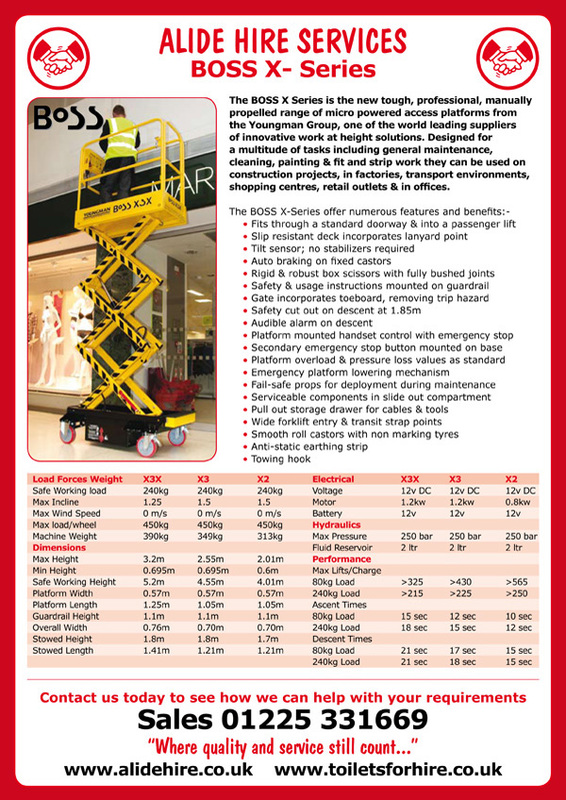 The company itself was established in 1980 and have done very well, thanks to their commitment to customer service – the company motto even states “Where quality and service still count…” Anyone in the locality can’t fail to have noticed the companies fleet of branded bright red vehicles and while the logo font may not be to everyones taste (Dom Casual – font fans, not our choice and believe us we’ve tried suggesting rebranding over the years!) 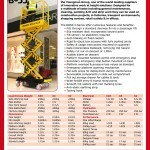 the company continues to go from strength to strength. 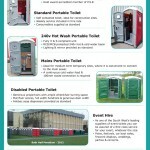 A recent area of growth has been the introduction of portable toilet hire – not terribly glamorous but in all likelihood if you’ve been to a festival or outdoor event over the last few years and needed the loo, it’s been an Alide portable toilet that you’ve used – keep an eye out for the red cubicles they’re everywhere! 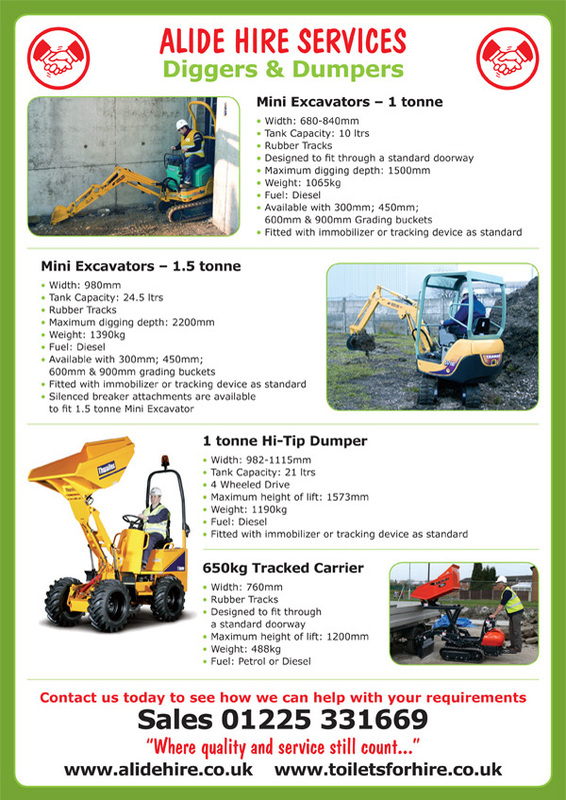 Our first design job for Alide back in 2006 was their annual price list catalogue, originally an A5 landscape booklet, created in Quark Xpress which was industry standard back then (along with plenty of computer crashes with non recoverable files we seem to remember). 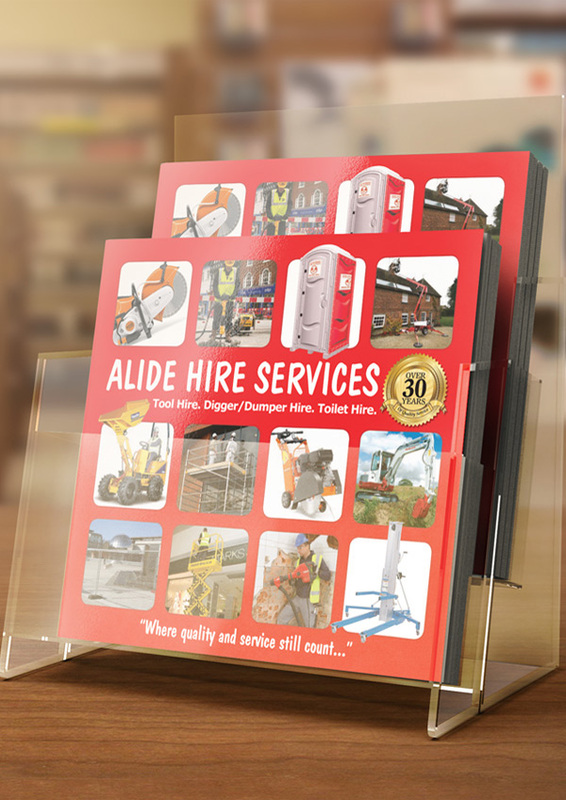 The latest version of the Alide catalogue, which we’ve designed every year since, is now a square 210x210mm format, gloss laminated and perfect bound using extra strong glue so that they hold together under the toughest of working conditions. 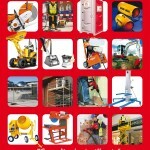 You can see the latest digital version of the catalogue design here. 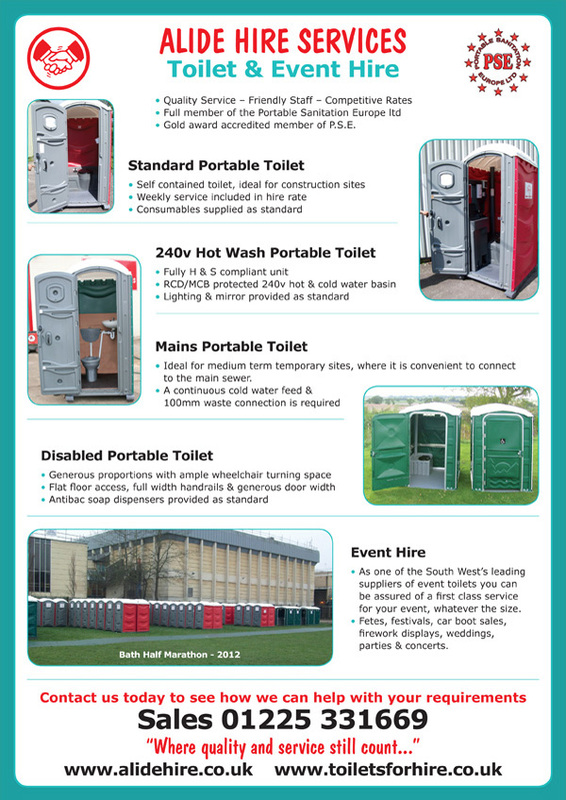 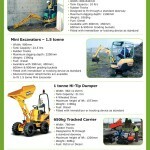 We’ve also designed various marketing inserts and leaflets which you can see below.